Mother’s Day may have been and gone but there are so many times throughout the year where I’m sure the women in your lives could do with some spoiling. For birthdays, anniversaries or even just as a little thank you, they’re all gifting times that are very much appreciated. Trouble is, unless its Christmas, Valentine’s or around Mother’s Day, its hard to get a lot of gift inspiration if you’re not much of a shopper for women because the shops aren’t necessarily having a focus on gifting. Just this morning I had a DM on Twitter from a man who asked for a makeup recommendation for his wife’s birthday. He gets in touch around the same time every year and the same goes for many other men and women who are looking for the latest must have recommendations for their partners. Worry not though, as I have gifts for women sewn up so even if you don’t have a woman’s birthday coming up in the next few weeks, book mark this page to inspire you later! It’s my mam’s birthday this month and she’ll be celebrating a big birthday so I’ve been focusing on scouring the shops to find the most gorgeous gifts for her and now I’ll share them with you all. 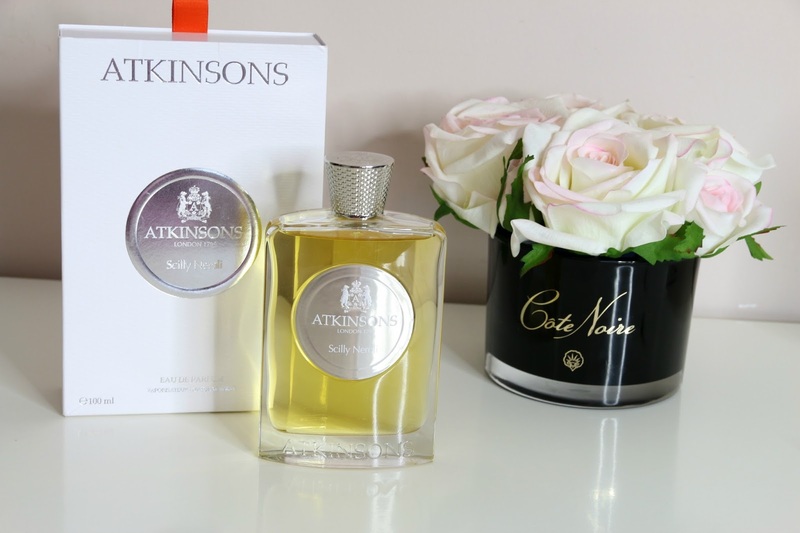 The Atkinsons Scilly Neroli Eau De Parfum is a fabulously fresh, zesty scent that is perfect for the summer months. With top notes of lemon, petitgrain and sea notes, a heart of neroli essence and orange flower absolute and a base of ambergris and patchouli, it is a floral yet aquatic and really packs a punch. This perfume comes in a huge 100ml and since the fragrance is strong and long lasting, only a couple of spritzes are needed to last the wearer the whole day long. It is beautifully packaged as you’d expect from Atkinsons. More on this fragrance in a review post soon! For the woman in your life who loves flowers, let me point you in the direction of Côte Noire at Amara Living. They create the most stunning lifelike floral arrangements in sleek holders for the home which not only update the decor but the scent of the home too as the faux flowers are perfumed. 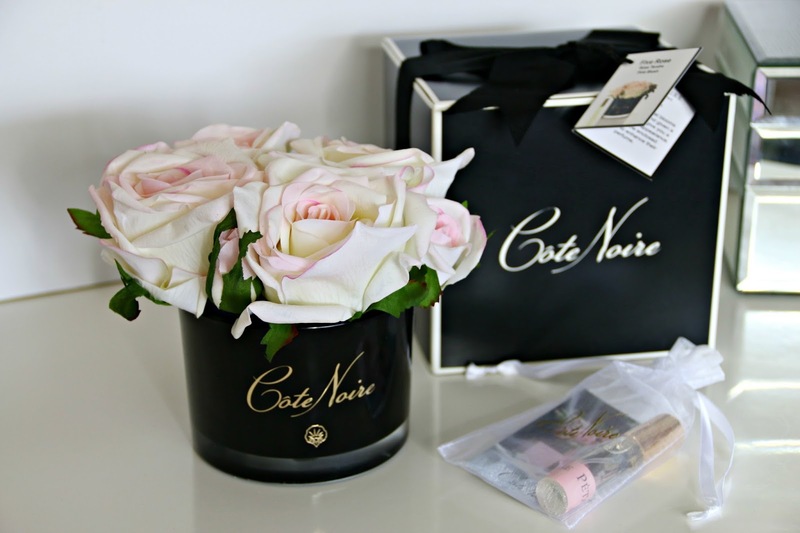 This particular bloom is the Côte Noire Blush Roses in Black Glass with Giftbox. I love how luxe the packaging is and it certainly makes a great first impression. The gift inside is of an even higher standard and the flowers look so realistic. I do love the look of real flowers but I hate that they cost so much money and then die after a week whereas the Côte Noire flowers will last. 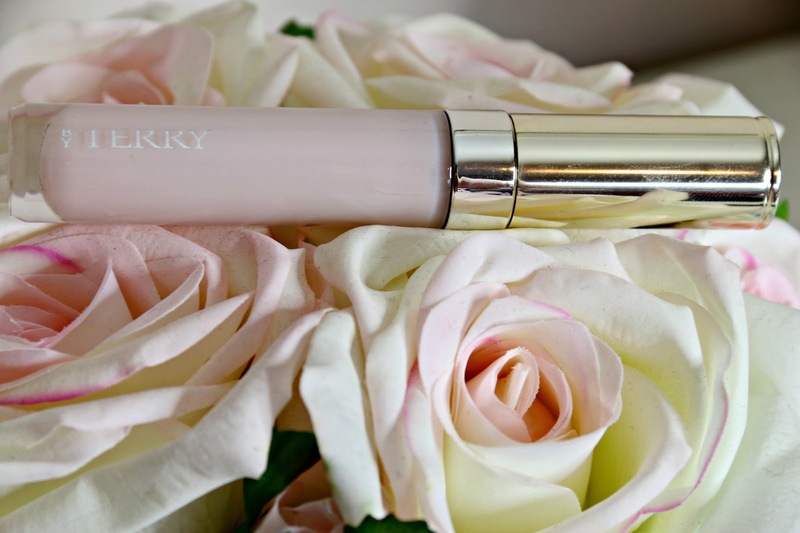 It even comes with a 10ml spray bottle of the rose petal scent that you can use to lightly mist over the flowers to refresh their scent, when needed. I’m so impressed with this company and will certainly be buying more in future for around my home. I love shopping at Amara Living as they have such a wide range of homeware and gifts. For the lady who loves to collect things, a Pandora bracelet that you can add charms to is absolutely ideal as a gift because it gives you instant ideas for presents in the future! I’d recommend checking out Jewel Hut as they sell both the bracelets and the charms too, including this lovely Pandora Silver Charming Owls Charm from the Enchanting Fairytales Range. It combines a big owl with a smaller owl so it would be ideal as a gift for a mother or a mum to be, perhaps as a baby shower gift, Mothers Day present or as a birthday/Christmas gift from a child. The great thing about ordering Pandora products from Jewel Hut is that they offer free delivery on those items which will save you some money compared to ordering from other websites. The shipping is fast and accurate too; I’ve never had any problems ordering from them before and the Pandora items arrive with the gift bag and box packaging just as they would if you bought them in store. For the lady who loves to make notes (what mam doesn’t?!) 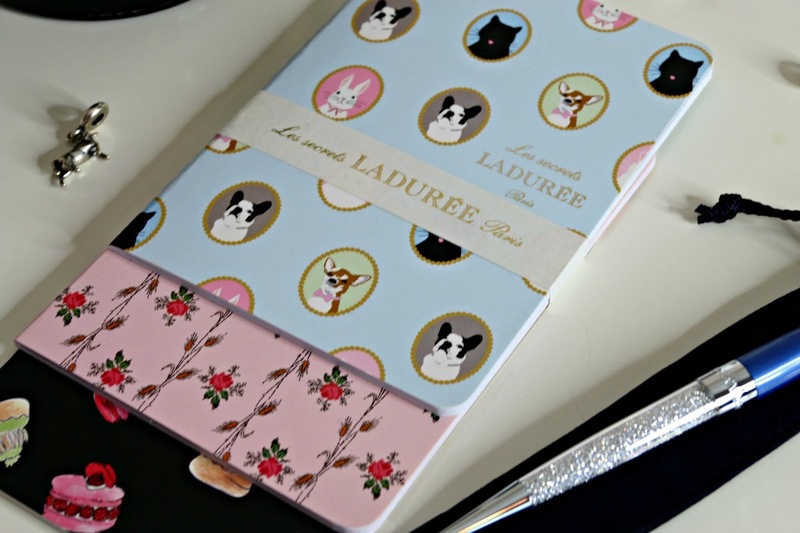 then the Ladurée A6 Notebook Set would be perfect. Again, I picked these up from Amara Living and they have some other designs too if these didn’t suit as well as plenty more stationery from other brands like Kate Spade. The Ladurée notebook set comes with three lined paper notebooks that have 40 pages in each. The dog and bunny, floral and cake designs are really charming and sweet. If the lady you’re buying loves going to Ladurée for their famous macarons then I think these will be a hit with them but really, anyone can benefit from having a notebook around the house or in their bag. I love these ones because the paper is high quality, the outer designs are so sweet and the Ladurée branding adds a subtle yet luxe touch. 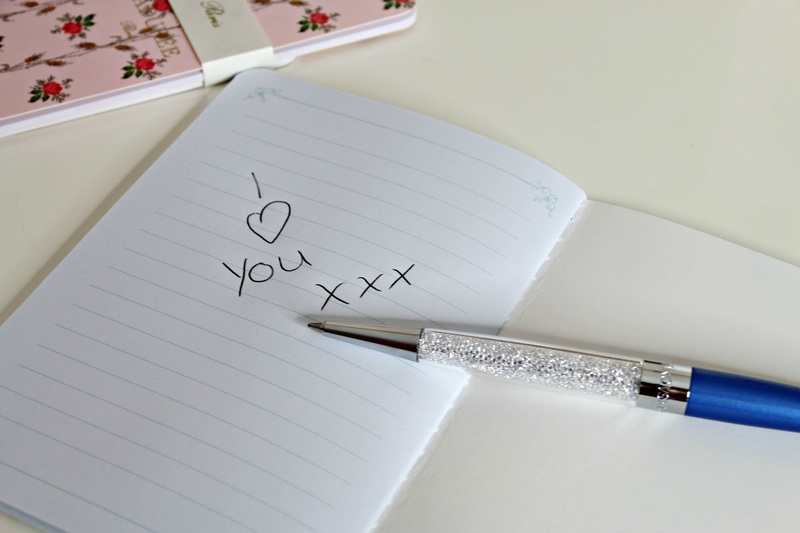 The perfect accompaniment to the notebooks has to be the Swarovski Stationery Crystal Stardust Pen which has around 1300 individual Swarovski crystal stones inside it! There are so many colour variations of these pens available, this is the blue and there’s also ones with USB’s in the lid and others that have the functionality of a stylus for use on iPads and other tablets. The pens are available with black or blue ink and they’re refillable too so this would be a gift that the person could use for years and years to come. 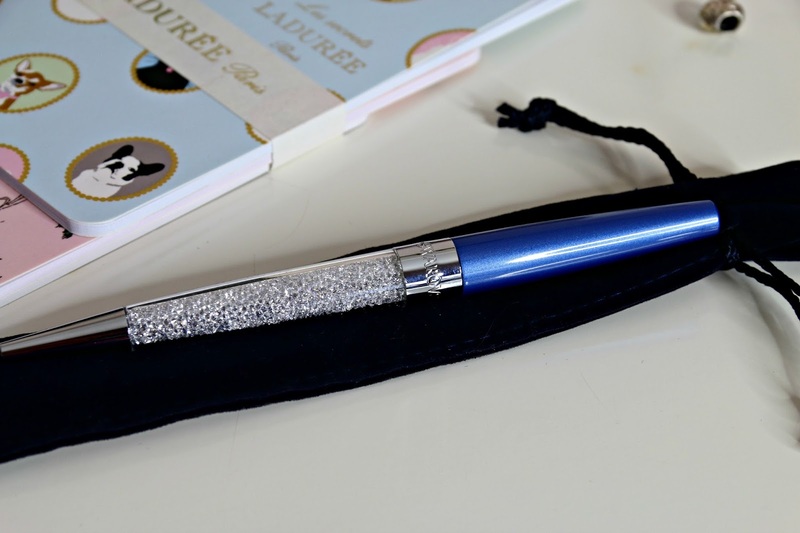 Although we’re a nation glued to our phones, we always need a pen and having such a beautiful sparkling one like this in a handbag makes writing notes that little bit more special. I’ve bought lots of these pens for my friends over the years and I have a silver one of my own which has lasted me for years. They’re very well made and the beautiful Swarovski crystals remain just as sparkly years down the line as they were when you first bought it! 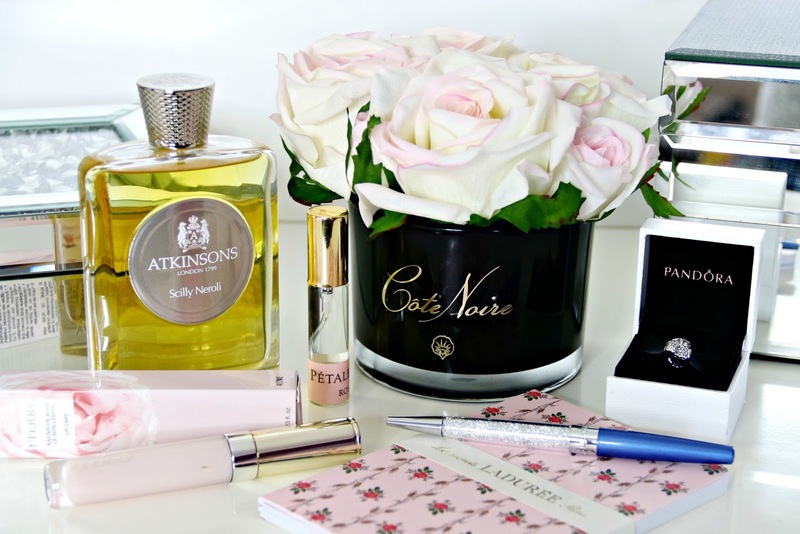 My final recommendation for luxury gifts for ladies has to be the By Terry Baume de Rose Crystalline. This is a cult, iconic product that is loved by so many women the world over that it is sure to be a hit with the person you’re buying for! It is available in a pot but this version with the wand in the tube is far more practical… plus the packaging is so beautiful. Baume de Rose is a rich, highly nourishing lip balm that intensely hydrates the lips leaving them feeling incredibly soft. It also gives the lips a perfected and full appearance which is perfect for days when you don’t want to wear a colourful lipstick but you still want to have something on your lips. By Terry are one of my favourite beauty brands of all time. Their products are incredibly high performing as is to be expected from such a luxury brand and they’ve never let me down. Whenever I’ve bought By Terry products for my friends as presents, they’ve always been delighted with my choices. They’re certainly a fail safe brand for skincare and makeup and are worth every penny. We all know how much I love my luxury pieces and items that have that special appeal to them but they needn’t cost the earth to look luxe. I do prefer to spend a little more on my parents as I find that they have a real sense of who they are, what their style is and what they like and dislike which makes buying more luxury gifts that little less daunting because there’s a really high chance that they’ll love the present. That being said, there are some gorgeous gifts out there that are really luxe and special from a range of different price points that wont break the bank. I hope this post has provided you with plenty of inspiration! Which item would you love to gift or receive? The Cote Noire flower arrangement and the Swarovski pen is bomb! Love these! You can't go wrong with something from pandora. They have some really beautiful rings in there at the moment. 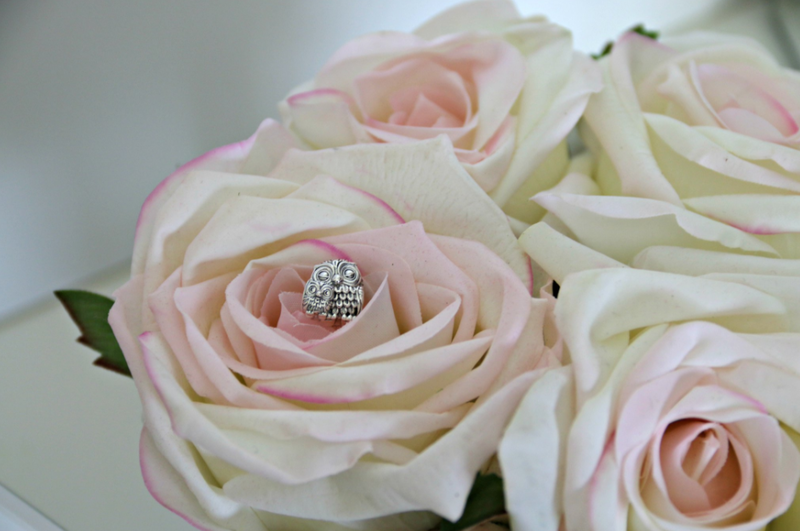 Love the idea of faux flowers which are perfumed. They look really realistic too! Great ideas 🙂 I have started giving pens as gifts and they have gone down well. That Swarovski pen is just the ultimate gift. It is so classy and sleek. I hope you spoil your mum with something beautiful and happy birthday to her. Those flowers are beautiful! I need to find gifts like this for my mom for Mother's Day! I love my Pandora bracelets, they're the best gifts!